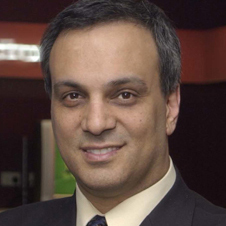 Dr. Duane Varan is CEO of MediaScience®, facilitator of the ESPN Lab and a leading provider of lab-based media and marketing research. Dr. Varan is also Professor of Audience Research at Murdoch University in Australia where he has helped pioneer new media/marketing applications for psychophysiological research incorporating Electrodermal Activity, Heart Rate, fEMG, facial coding, EEG, and eye tracking. Dr. Varan is the recipient of numerous awards including the Australian Prime Minister’s Award for University Teacher of the Year and regularly publishes in leading peer-reviewed journals. Dr. Varan is project leader on the Beyond Thirty Seconds (Beyond :30) research project (beyond30.org), one of the world’s largest research projects exploring the changing media landscape, sponsored by many of the world’s leading media networks, global brands and technology enablers. He was also project leader on the Advertising Research Foundation’s NeuroStandards 1.0 project.